Vista Plaza homes are located in the coastal community of Aliso Viejo. Vista Plaza is a small residential neighborhood that features two to four bedroom townhouses that range in size from 1,147 to 2,000 square feet of living space. Considering the smaller floor plans the rooms are laid out very nicely. Kitchen, living and dining room spaces are combined on the first level and open to the outdoor patio backyard. The kitchen is generous size and offers plenty of cabinetry. Upstairs features all the bedrooms with a separate shower and jacuzzi soaking tub in the Master Bath. 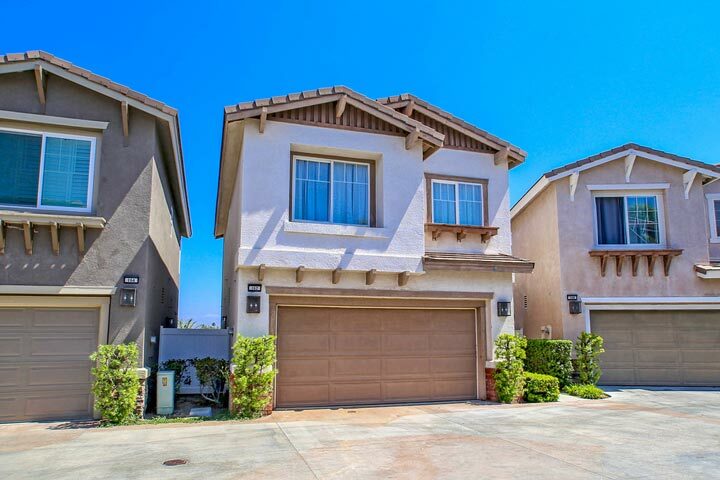 Below are the current Vista Plaza homes for sale and for lease in Aliso Viejo. Please contact us at 888-990-7111 with questions regarding this community and any of the properties listed for sale here. 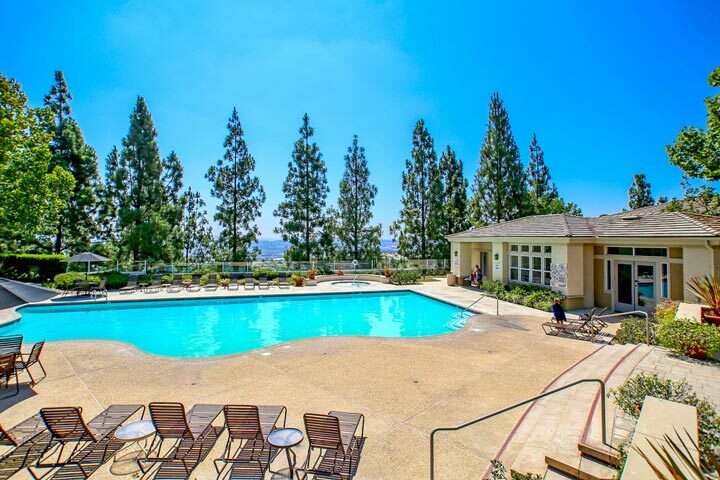 Vista Plaza offers many association amenities for residents who live here. A small clubhouse, pool spa and mutti-purpose room as pictured below is included in the monthly homeowners association dues. These homes are zoned as condos but are detached properties that have the look and feel of a traditional single family home. There is an additional Mello Roos tax located here so check with your local real estate agent for the exact cost.